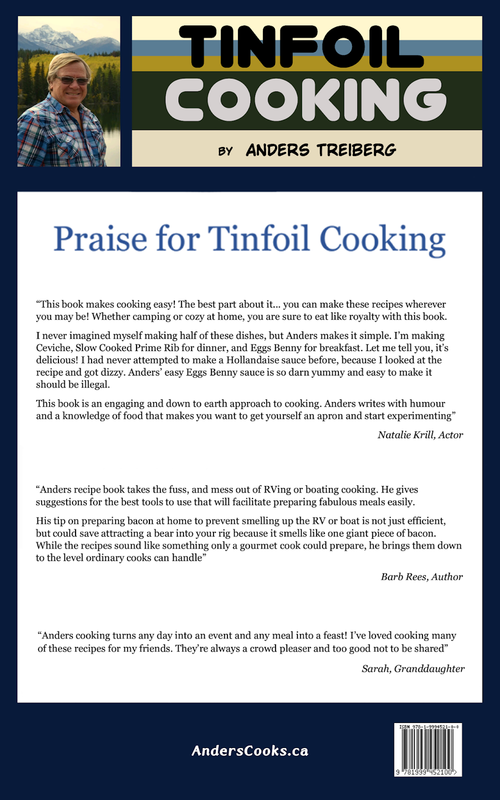 Tinfoil Cooking is the ultimate cookbook for the outdoors. Easy cooking for Camping, RV'ing, Boating and at home. Delicious meals with very few or NO DISHES! 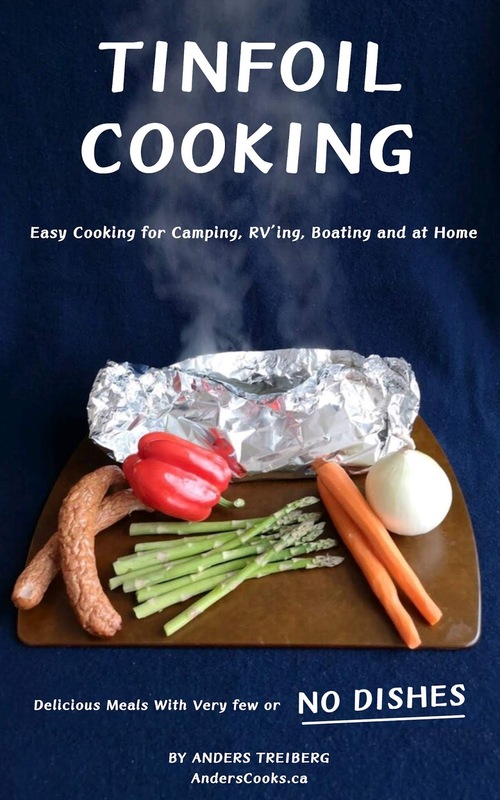 This book is for RV'ers, boaters, campers and at home. Easy to follow recipes that everyone can use. Wow, it has been a fun journey getting this book up on Amazon. I sure have learned a lot about publishing. Not as easy as one might think. If you are looking to make your camping or boating trips a bit easier then this books is for you. Do you dread having a whole bunch of dishes to clean up when you are out camping or boating or even at home? Then this book is for you. Actually, it’s a silly question — of course, you do, no one wants to do dishes and clean up the big mess left behind when you cook up a big meal. If you are like me and want to simplify the whole cooking process without sacrificing on flavour, then this book is for you. If you like to cook up the tenderest ribs ever, then this book is for you? If you like to make the best-tasting vegetables supercharged with flavour, then this book is for you. 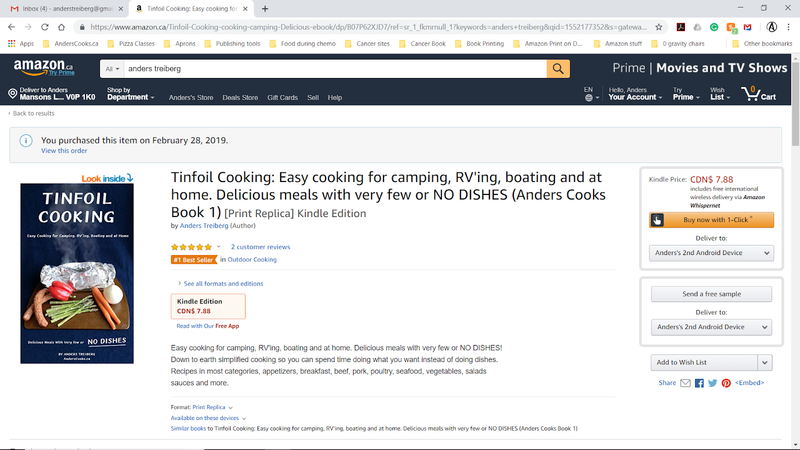 If you like to cook up some pasta without a pot and without steaming up your whole camper or boat, then this book is for you. You can even cook the pasta over a campfire. Do you enjoy freshly baked artisan bread with your breakfast, lunch or dinner? No kneading required. Then this book is for you. I truly hope you enjoy the recipes in this book so you can spend more time with family and friends and less time washing dishes. 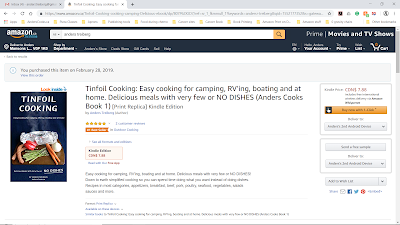 Amazon #1 Best Seller in outdoor cooking. My book is available on Amazon in all countries that Amazon operates in. For ease of ordering, here are some links, Amazon.ca, Amazon.com, Amazon.de and Amazon.co.uk. You can also search the book Tinfoil Cooking or my name Anders Treiberg on your favourite Amazon site. Please NOTE, you do not need an e-reader for the digital version, you can download a free app here.